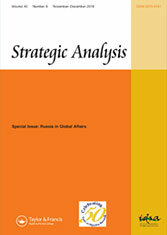 Strategic Analysis is the bimontly journal of the Institute for Defence Studies and Analyses (IDSA), New Delhi.It is a forum for independent research, analyses, and commentaries on international and regional security issues that have policy relevance. The journal seeks to promote a better understanding of Indian thinking on contemporary national and international themes. 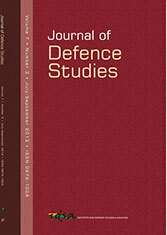 The Journal of Defence Studies represents a modest attempt to encourage research on the core issues of defence. The journal serves as a platform for sharing research findings and opinions of scholars working on defence-related issues, both within and outside IDSA. It will be our continuing endeavour to give priority to issues concerning defence policy, reforms in defence and defence economics. The journal contains a mix of research articles, essays, topical commentaries, opinion pieces and book reviews. 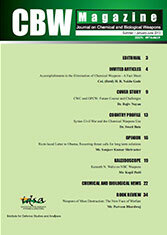 The CBW magazine is the first of its kind in India. Initially, during the conceptualization stage, we pondered over and dabbled with various themes and concepts that we would have liked the magazine to envisage. The foremost issue was whether it should be stylised in a magazine or a journal format? Owing to the dynamism of either formats, we settled for a potpourri of sorts. That is how the title and the byline came to incorporate both terms – CBW Magazine, ‘a journal on chemical and biological weapons’. 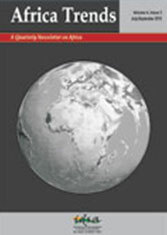 Africa Trends is the IDSA's quarterly magazine on Africa. The magazine aims to provide readers with reviews and analysis of significant and strategic developments taking place in African countries that impact regional and global security. Features will include the News Track covering important events of the past two months, a Book Review, and commentary on contemporary strategic issues.